When it comes to rehabilitating the plumbing pipes of your Chicago commercial or multi-unit residential building without damaging your drywall, expensive finishes or ceilings, epoxy pipe lining is a viable, affordable solution that can fix pinhole leaks and cracks and prevent further pipe corrosion. Unfortunately, there is a lot of misinformation on the Internet about epoxy pipe coating. MYTH: The lining process can damage your plumbing pipes. FACT: Not all pipes are good candidates for the pipe lining process. Before your plumbing pipes are lined, a plumbing pipe assessment should be performed. These assessments involve using a small digital camera on a flexible tubing that is connected to a small monitor and a recording device. The camera is threaded through your plumbing pipes, and the images are transmitted to the monitor. This allows the pipe lining technician to view your plumbing pipes in real time to determine the levels of corrosion, find any cracks or missing sections of pipe and make an informed decision about whether or not your pipes would benefit from epoxy pipe lining. A professional pipe lining technician should never recommend pipe lining for pipes with extremely thin walls or with severe corrosion. Instead, the technician should recommend a combination approach that involves lining some pipes and completely replacing the pipes that cannot be lined. MYTH: It is impossible to tell how well the epoxy pipe liner adhered to the host pipe. FACT: A post-installation camera inspection can tell you how well the pipe liner adhered to the pipe. After your pipes are lined with an epoxy pipe liner and the appropriate amount of cure time has elapsed, a second camera inspection should be performed. This camera inspection is designed to locate any abnormalities or errors in the pipe liner before the pipes are restored to service. If any abnormalities are found, they should be immediately repaired at no cost to the client. MYTH: Leaks in failed epoxy pipe liners cannot be fixed. FACT: If an epoxy pipe liner fails due to improper installation, in many cases, it can be repaired. Pipe liners can absolutely be fixed if they fail, bulge or wrinkle. When a pipe liner experiences a failure, the first task that should be performed is a camera inspection. This allows the pipe lining technician to locate the problem and determine if it is an epoxy pipe lining failure or another problem with the pipe. Since the camera inspection is recorded, that recording can be shown to the client, and the problems and solutions can be explained in detail. If the problem with the pipe is the pipe liner, the affected section of liner is ground out. A small area of liner can be fixed with an epoxy pipe liner patch. A larger section can be fixed by inserting another epoxy pipe liner in the affected area. MYTH: When pipes are lined, certain components of the plumbing pipe system are forgotten. FACT: Proper communication and pre-installation inspections need to be performed before any plumbing pipes are lined. Proper communication and a thorough camera inspection must happen before any epoxy pipe lining solutions are installed. The camera inspection is essential for determining the condition of the pipes and if they can be lined. Communication is absolutely essential in order to determine the scope and expectations of the job. One example of this type of detailed communication occurred at US Cellular Field. 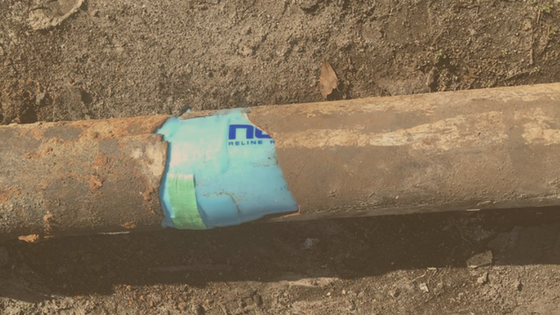 Our pipe lining technicians, here at NuFlow, were asked if we could line P-traps. P-traps are not usually lined with epoxy liners due to the curve of the traps, but instead of telling the client that we could not line their P-traps, we started developing a custom solution that involved cutting out excess pipe liner until it fit the size p-traps at the stadium. Once installed and cured, the liner was sanded smooth and finished with an epoxy coating. The result was beautifully lined P-traps that were completely restored. 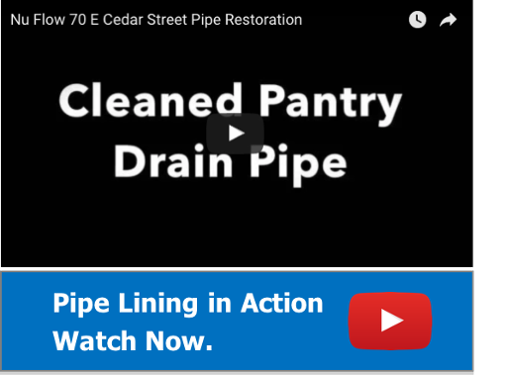 To learn more about how epoxy pipe lining solutions can help you restore your plumbing pipes, call us at 815-790-9000.